Dealguardian.com an affiliate platform scam? « How to generate interest on your YouTube videos? First of all i have to tell that the title is a question not a statement. At least , yet. 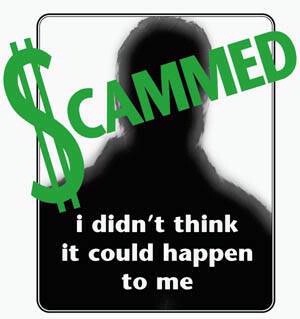 I have my own story whith real facts, i hope i am the only one that has been banned by this new affiliate marketing platform called Dealguardian.com and if so i am just a “small” victim of a system. So let’s start the story like it is. A famous promoter on Warriorforum.com known as Abbas Ravji has launched a very interesting plaftorm called Socio Synd and i was very anxious to promote it . I have worked in the past with this guy based on Wariorrplus.com platform that makes an instant payment to affiliates which is most than fair. So i have asked for affiliate accept , he accepted me instantly because i have made some sales , more than 30 with other products he sold in the past. I was anxious about the product and i start promoting Abbas Ravji’s new platform on my clients lists , on my seo blogs talking very well about this amazing product. (cause i got to say that the product is ok). After promoting this link for a week or two i have seen that nobody bought it , but my clients asked me about how to manage it. In a week i have checked the thread and i have seen that Abbas Ravji has changed the sales thread with a link to another thread on Warriorforum.com. That means that all my referals does not brought me any money. The funny thing is that he has made this without any email or simply closing the deal on Warriorplus. ( btw is still active for promotion there ) !!! So be carefull cause you will get no commissions! But i say what the hack , it could be something new and maybe better done. So i have made an account and start promoting the new affiliate link. I haven’t checked it every day but at a week or two i have seen that i have sent more than 1000 unique hits to this offer , exactly is 1033, but no sales whatsoever. I have said to myself that pleople does not understand the system or does not suits them and i was a little bit happy ’cause nobody knows Abbas Ravji‘s products as i know . I haven’t thought that Dealgurdian.com is a scam platform, not for a second. Few days ago i have called some of my clients to chit chat about their new seo positions ( you know how it is ) and 10 of them have told me that they have bought the system promoted by me and asked me for a Skype conference to help them set it up properly. This is the moment when i first thought that Dealguardian.com is a scam and it is possible that famous warrior Abbas Ravji could be a scammer. i am very angry with you . You have rejected my affiliate subscription. I have recommended to all my clients and made at least 15 sales and got no commission. I thought you are fair …. i am a long time affiliate of yours. Please check my account and verify me . I need my commissions otherwise i will not promote your products anymore!! “The reason is the traffic numbers were 800+ visitors with zero sales. These types of numbers destroys our conversion percent which downgrades our offer. Compared to other sellers this is very very low quality traffic and something that we can’t have. So the system kicked you in banned affiliate based on our pre-set conditions for ratios. So it was not personal. We are happy to help you so your traffic converts. But we need to know specifically how you are sending traffic.We promise to work with you but we don’t just want high random traffic that doesn’t convert. Please get back to us with how you’ve marketed so far and your ideas for bring in better targeted traffic that will purchase. So this is for the first time in my entire internet marketing experience ( more than 6 years) when somebody blame me for sending traffic to his sales page. It is very funny though! My response : ” Scott i am sorry to not belive your explanations. I work with lots of promoters around the world . I have more than 100 websites in different niches. I am a big guy . Now i actually understand why you are not working with Warriorplus anymore ..
Ok .. keep your money but i will not promote your producta anymore and i will tell the story on my blogs and on Warriorforum where i am a respected member. “We’ve been forth right in explaining why you were banned due to our rules for affiliate conversion rates. This has nothing to do with anything other then the raw traffic vs lack of sales numbers. We’ve told you that you can contact Deal Guardian to present your case and it’s your choice whether you do that or not. All transactions are collected by them and we only get paid after a waiting period from the refund date. It’s the first time we’ve used Deal Guardian and we feel their method for dealing with affiliates could be improved. But threatening us with bad press on your blog is not improving your case to your character. We’ve told you we’d be willing to working with you but you’ve already decided in your mind how things are. So we will also present the figures to those that ask why you were banned. The facts are we don’t take in funds directly and the funds and tracking is all handled by Deal Guardian. Sorry you are of this opinion but we will defend ourselves if you try to slander us. I am affiliate on Warriorplus, Clickbank, Jvzoo, Paydotcom but never happened this to me in more than 6 years of blogging. Sorry Scott i have no time to argue or chat with DealGuradian begging for what is mine ( is it not my way of doing things). I will tell the story as it is with your answers and people will think who is wrong in this story. You sent loads of traffic to our offer without any sales and we have a set limit on when an affiliate does this to shut them down. It doesn’t matter if you’ve been marketing since the beginning of the internet or who you are. It’s irrelevant. The poor performance was the reason and you can’t accept that. We’ve stated if you are owed commissions then take it up with Deal Guardian. We have nothing against getting your just due but we don’t want you marketing our program with high traffic low sales. That’s it mate and if you above it all. Don’t have time for and want to present it like we are taking advantage. We will stand our ground. So i have decided to publish the story here and you can decide who is right and who is not. I have promised Scott that i will send him the article too. What we can learn from my experience ? Work only with well known affiliate marketing platform such as : Warriorplus.com, Clickbank.com , Jvzoo, Paydotcom.com. And if you feel that i am right please share this article for everybody to know and stop these scammers. This entry was posted in Affiliate and tagged Abbas Ravji, Abbas Ravji's products, dealguardian is scam, Dealguardian.com, Dealgurdian.com is a scam, Socio Synd, victim of a system. Bookmark the permalink. Follow any comments here with the RSS feed for this post. Post a comment or leave a trackback: Trackback URL. This vendor (Abbas) decided that he did not want to have you as an affiliate because your traffic was simply not generating sales for you, so he blacklisted you. It’s his product, and thus his right, to decide which affiliates to work with. We, DealGuardian, have no say in this issue: like I said, it’s the vendor’s right to decide that. However, I’ve checked your reports and you sent THOUSANDS of clicks to this product with NO SALE whatever. That means that your traffic is not targeted, so I understand the vendor decision to disapprove you as an affiliate. I’m baffled at how you can label DealGuardian as a scam. It shows absolutely no professionalism on your end, as well as no true understanding of how this industry works. Hi Hector and i am glad to host your Dealgurdian point of view here . This is fair. So let’s talk about what make me “ask my audience” about Dealgurdian as a scam? 1. First of all this is not a “slander ” action by my side. If i want to slander you or Abbas i should post 100 versions of this article on my 100 seo blogs . That you could call a slander action, but i will not make this. This is just a “get even article”. Why i am very , very dissapointed about you and Abbas? 1. First i have not got any email that i was banned from Abbas and i still promote his ( or yours) link which still goes to his sale page and make hits from my blogs. The fair thing from your side should be to inform me immediately about getting banned and close my affiliate link !!!! 2. I have more than 5 clients that bought SociSynd ( I can prove that) through that affiliate dealguardian link, after i have been banned ( Without being informed about it ) . This makes me research a little and find out i was banned. 3. If my clients wouldn’t told me about it,this would go on indefinetely, getting hits to that sales page without getting any payments. If this one is not a scam , i do not how to properly ” define” it anymore. So i have decided to get even with you and Abbas by writing this article, only with real facts that i can prove. I repeat this is not a slander action…it is just a little payback article. Maybe this story will make you set up your system so this will never happened again, ’cause it is not fair for any affiliates . This is the bright side of the story. We all have to learn from it. PS I have seen that you have closed my account on dealgurdian. May i ask you why? This is very nasty man ! I am good client after all. I have payed an product there. Be careful what you do or i can ask for a legal action against you! I haven’t faced any kind of problem with DealGuardian so far. Similar thing happened to me on CJ, and was the advertisers fault not CJ’s. hi Sadek and thanks for dropping by. I might say that is not my problem who’s fault is. I just have been faked and people should know about it . That is All! It sounds as if the traffic you was sending was not good and effecting the vendors stats. If you sent over 800 visitors to a product of mine with zero sales then I wouldn’t want you to promote either.